Ryde Social Heritage Group is hosting Ryde Cemetery Open Days on 24 & 25 May at Ryde Cemetery, West Street, Ryde, Isle of Wight. All are welcome to a fun, informative and entertaining day. As part of the group’s World War 1 Centenary project ‘The Changing Face of Ryde’ there will be exhibitions relating to WW1 and Ryde on the Brink of War. The group’s extensive archive of research into Ryde’s history will be available for visitors to browse and volunteers will be on hand to help with any enquiries. There will be a guided walk and talk to some of the graves with stories about the Great War. There will also be a chance for visitors to meet some of the ‘characters’ from Ryde, who were involved in the early war efforts, and hear their stories. 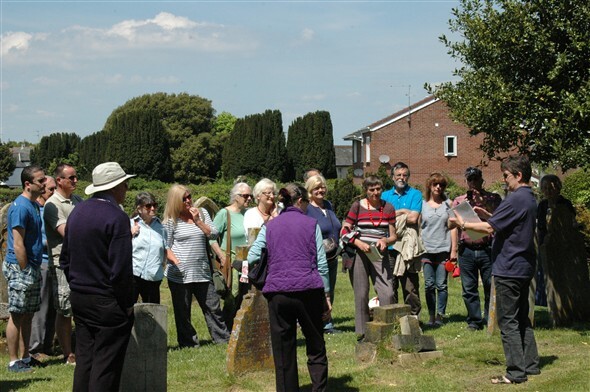 Also joining the group for the Open Days are GRAVE CONCERNS IW and visitors can talk to them about how they can look after and maintain a grave of a loved one for people who are no longer able to do the work themselves. Also members of Ryde Library will be at the event with their collection of WW1 books. Refreshments will be available on both days for a small charge.